Caruso Company partnered with Google Cloud to produce this short promotional video announcing an exciting new partnership with the Golden State Warriors. 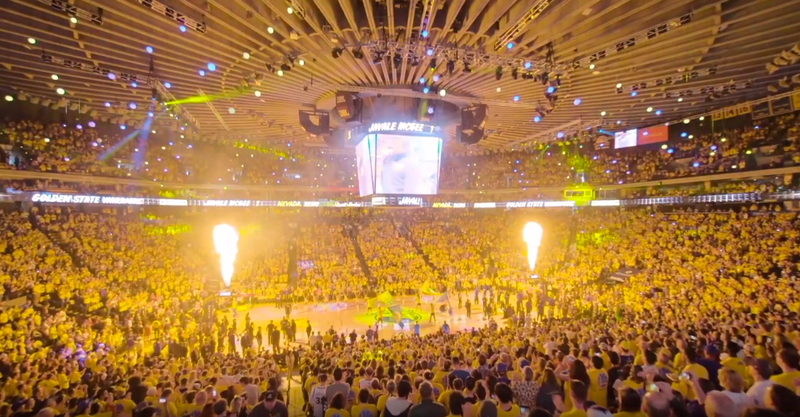 The video features interviews with Warriors Owner/CEO Joe Lacob, Asst. General Manager and VP of GSW Sport Ventures, Kirk Lacob and Google Cloud executives, Eric Schmidt and Alison Wagonfeld. Thanks again to our collaborators at Google and our amazing crew who helped make this happen. Google Cloud is partnering with the Golden State Warriors and Chase Center as their official public cloud provider to help them transform their organization and do more with their data, on and off the court. As part of their journey to infuse technology into every aspect of their organization, the Warriors will use Google Cloud to enable their next generation of data analytics to better serve the needs of coaches, front office, staff, players and fans. Together, the Warriors and Google Cloud are developing real-time data pipeline analysis, allowing the Warriors to provide faster analytics on high volumes of data. In early tests, this system has reduced the time it takes to develop portions of scouting reports by half. Additionally, the Warriors and Chase Center mobile app(s) will be hosted on Google Cloud Platform, along with Chase Center web properties, which will enhance the fan experience and provide cross-over efficiencies for users on both web and mobile.